At the recent Object Management Group (OMG) Technical meeting in Cambridge, MA, USA, PrismTech SVP for Corporate Development, Steve Jennis presented on the subject of “Data Distribution Service (OMG DDS) – Aligning OT and IT to Deliver the Potential of the Industrial Internet of Things (IIoT)” at its special Putting IIoT to Work Event. The presentation highlighted the four mega trends that are driving IIoT adoption, specifically: (1) the continuous decline of the cost of Internet-connected sensors, (2) the vast amount of money being invested into the IoT by both large and startup companies focused on the development of devices, gateways, software, cloud, fog nodes, analytics and HMI technologies, (3) almost ubiquitous Internet connectivity and (4) the high adoption levels of smart phones, tablets and other BYOD devices. The presentation also discussed how the OMG DDS standard can support the creation of new end-to-end IIoT systems that provide the potential for innovative new products and services, higher levels of productivity and environmental benefits. Finally Steve showed how PrismTech’s Vortex, the leading commercial and open source implementation of the OMG DDS standard, is being used as a data-centric cross-platform enabler for OT / IT integration between edge, gateway, cloud, mobility etc. and how it is helping deliver OT and IT alignment, and thus the IIoT. 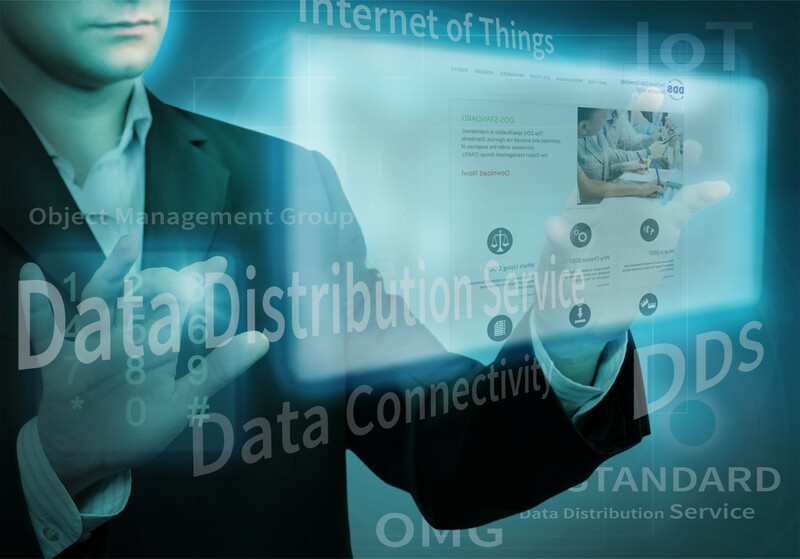 If you are currently using DDS (Data Distribution Service), then extending your system to leverage the benefits of cloud computing and the Internet of Things (IoT) has never been easier. Compliant with the DDS standard and the DDSI interoperability protocol, PrismTech’s Vortex Intelligent Data Sharing Platform provides many capabilities not available from other vendors but required by next generation IoT systems. These include cloud data sharing and WAN connectivity, support for Android devices and mobile environments, embedded device support, dynamic web browser application support and the ability to integrate DDS with a broad range of other IoT communication protocols and standards. Vortex Cloud extends the capabilities of a DDS system with support for data sharing over a Wide Area Network. Vortex Café is the only “pure” Java DDS implementation specifically optimized for mobility and Android devices. Vortex Lite provides real-time data sharing for severely resource-limited devices and sensors. Vortex Insight is a browser-based, location-independent monitoring tool for DDS systems and systems-of-systems. Vortex OpenSplice is a fully featured DDS implementation targeted for server-class (desktops, racks, etc.) platforms. Open Systems Media EVP, Richard Nass features PrismTech Corporate Development SVP Steve Jennis on their latest segment of “Five Minutes with…” interviews. Steve talks about getting the right data at the right place and time for maximum value, how to handle the mass amounts of data that the IoT can bring in and how the Industrial Internet of Things (IIoT) differs (and is similar) to the more well known consumer IoT. “We help people to extract business value for the Internet of Things because its really the data that is the heart of the value add.. and getting the right data at the right time, at the right place so that applications or analytics – or end systems can perform their application magic on the data to generate new insights or optimization opportunities… or productivity opportunities, create new services – it all depends on getting the right data to the right place at the right time” Steve Jennis said.